Delight in the dramatic difference. Stand proud in the unique artistic design and delight in the captivating comfort of the adidas® Y-3 by Yohji Yamamoto™ Y-3 Kasabaru sneakers. 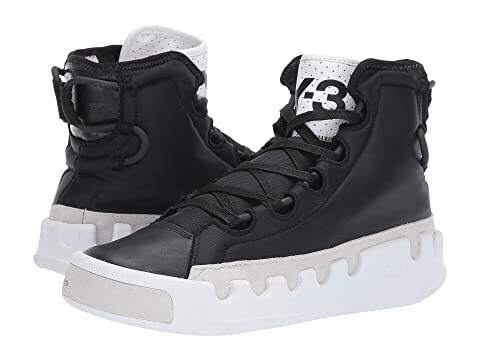 High-top sneakers made of smooth nylon upper. "Y-3" logo at on leather tongue. Lace-front closure with bungee cord at the back. We can't currently find any similar items for the Y-3 Kasabaru by adidas Y-3 by Yohji Yamamoto. Sorry!